“That amount of radium found to date cannot be explained by gauges, deck markers, and decontamination activities,” wrote Stephen Woods, an environmental cleanup manager at the California Department of Public Health, about Treasure Island, the rectilinear speck of land in the San Francisco Bay two-and-a-half miles of white caps from our kitchen window. It summed up decades of US Government efforts to bury nuclear sins under layers of ignorance. 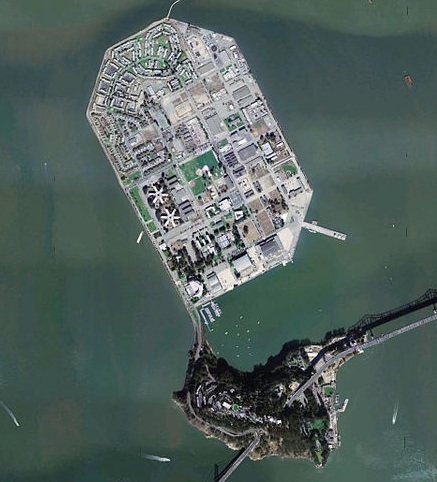 The US Government created Treasure Island from fill in 1937 and connected it to Yerba Buena Island, the overgrown rock in the middle of the Bay Bridge. After the Golden Gate International Exposition in 1939/1940, it became a naval base. In 1993, the Navy started the process of cleaning up the island so that the City of San Francisco, which had agreed to buy it for $105 million, would accept it—pending approval by state health officials. After World War II, Treasure Island became a training center for nuclear decontamination. In a 2006 report on the cleanup, the Navy concluded that the locations of the USS Pandemonium, the mockup of a ship used for decontamination training, were free from radiation, and that a 170-acre area was ready to be transferred to San Francisco. But contractors hired by the Navy kept running into radioactivity of such magnitude that one worker was exposed to the maximum radiation dosage allowed under Nuclear Regulatory Commission guidelines and was sent off the job. In 2007, the Navy tried to mollify resident with a newsletter that stated that lingering radiation from the discarded glow-in-the-dark buttons handed out during the Golden Gate International Exposition was no worse than that of a smoke detector.